The month of love has arrived! While we all have different relationships with Valentine’s Day, I wanted to share a little story about why I love the season of love. When I was growing up, I always felt loved on Valentine’s Day because of my dad. Every year on Valentine’s Day, I woke up to beautiful red roses on my nightstand. My dad never forgot to get flowers for me, my sister, or my mom and seeing those beautiful flowers always made me feel incredibly loved on the day of love. When I was younger, I liked the flowers and was excited to show my dad the cards we got from people in class. When I grew into a young woman, I felt remarkably blessed to have such a consistent form of love from my family. Now, as a parent to two amazing kids, I continued the tradition for my teen-aged daughter and leave a box of chocolates for my seven-year-old son. My daughter is in high school now, but I like to think, that our family-love-tradition has allowed her to share love in a healthy way throughout the month of love. She always loved going to the store to pick out cards and treats for her whole class when she was younger. Then, she slowly evolved into a baker who made cookies for her best friends in middle school and now, she goes on ‘Galentine’s Dates’ with her friends in high school. Not only that, but my sweet girl tags along with her little brother and me when we head to the store for super hero Vday cards for his class. 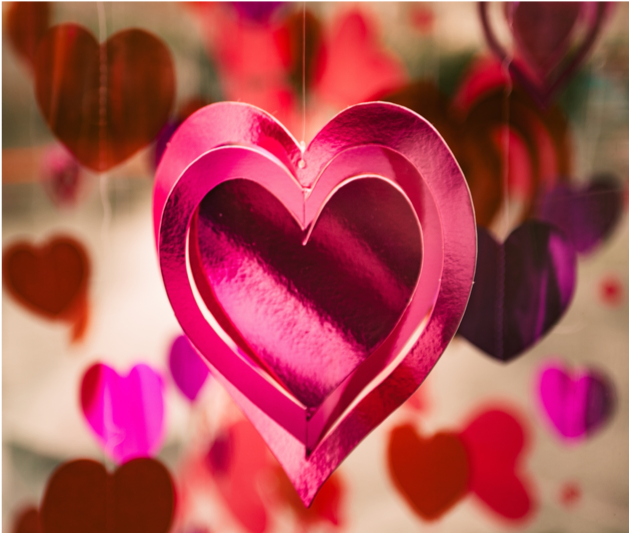 Navigating the holiday when romance starts to come into play will always be tricky, but I think that showing extra love as a parent encourages your kids to love the holiday and celebrate with family and friends. As a parent, I hope that both my kids find someone special in their own time. Until then, I can rest easy knowing they feel loved.